Quick Summary: What would happen if you took every standard practice in business – board meetings, setting salaries, paying expenses, 40 hour weeks – and turned it on its head? 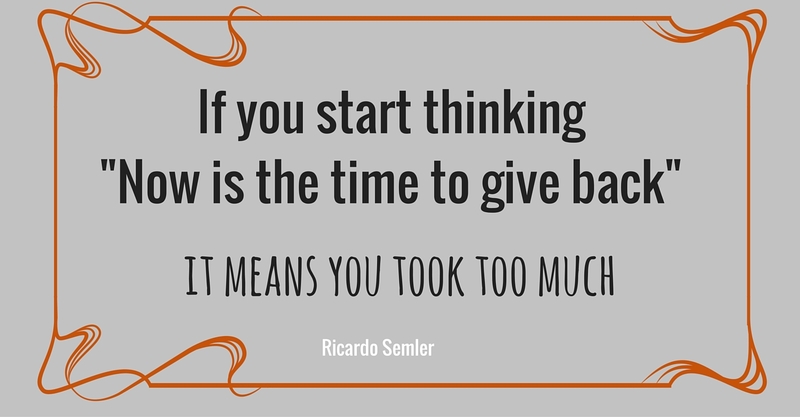 Ricardo Semler did that with a company worth hundreds of millions and employing thousands of people. But he is not jumping on the current trend of ‘disrupting the work status quo’ led by Zappos and Medium. He started doing this 30 years ago. The results are amazing. Ask 3 ‘whys’ in a row. One ‘why’ is easy. You can normally find the second. But the third ‘why’ will really tell you what you are doing it for. Think of all the things at work that make it feel like a Boarding School. ‘This is when you arrive.’ ‘This is what you wear’. ‘This is what you say and don’t say’ Start stripping them away one by one and see what happens. Start thinking what it could look like and don’t restrict your thinking by ways we have always done things. My Personal Takeaway: Where did all these standard ways of working we diligently adhere to come from? Who said they were right? Challenge everything. Ask why. Have some fun! Who would I recommend this video to: The leader who is hitting a brick wall with a problem. Teams who need to start thinking more creatively. ANYONE in education. Listen to Ricardo speak about the schools he has set up with the same mentality. I want my kids to go there!